Vapourtec were on show at the globally renowned ACHEMA 2018 exhibition this month which was held from the 11th – 15th June at the Messe Frankfurt Congress Centre in Frankfurt, Germany. 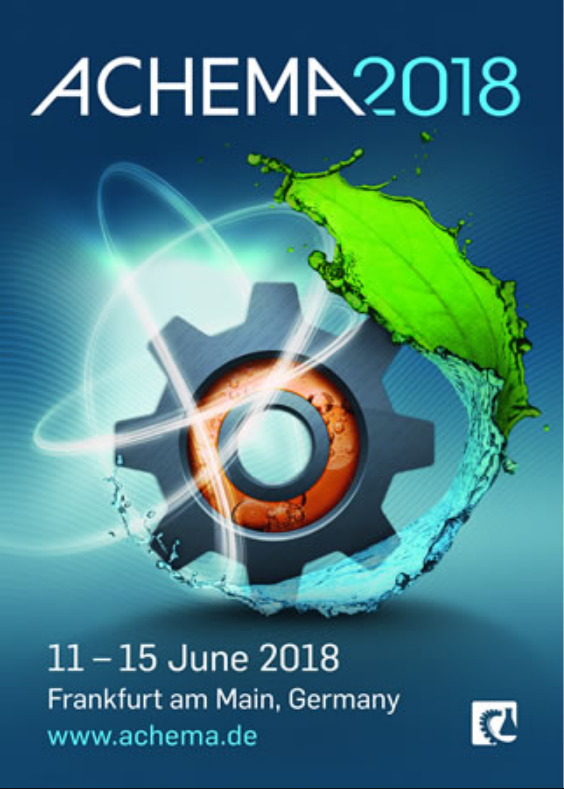 The event is the world’s most important trade show for the process industry, and more than 3,700 exhibitors from 55 countries showcased their latest developments in process innovation for the chemical, pharma and food industries. 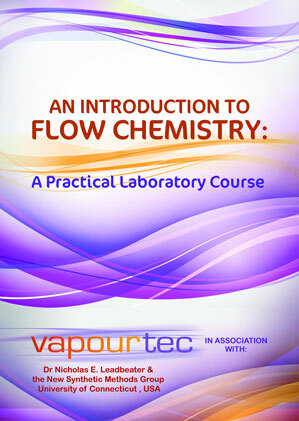 Vapourtec had a booth in the new created Flow Chemistry Pavilion (Hall 9.2, booth A.30.a) where it showcased its range of innovative flow chemistry products; the R-Series (the most versatile, modular flow chemistry system on the market offering full automation capability), E-Series easy-Medchem (a robust, easy to use affordable system optimised for medicinal chemistry), the UV-150 LED advanced photochemical reactor (a ground-breaking development allowing the full potential of photochemistry to be exploited in continuous flow operation) and SF-10 laboratory pump (a versatile laboratory pump designed for use in applications ranging from dosing reagents and gases, to operation as a precision pressure regulator). 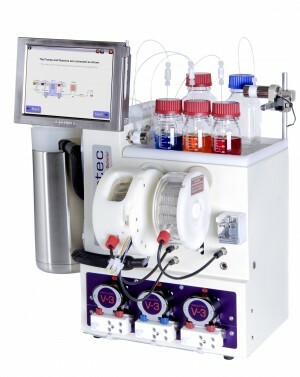 On Wednesday 13th June at 12.30 pm, Vapourtec’s Research Scientist Dr Ryan Skilton presented a very well received talk entitled ‘Research Towards Automated Continuous Flow Peptide Synthesis’. The talk focused on Vapourtec’s collaborative work over the last two years with New Path Molecular Research Ltd (NPM), during which Vapourtec developed innovative peptide synthesis reactor technology for use with continuous flow methods. Dr Skilton discussed how the technology can help overcome the challenges of peptide synthesis in flow and provide a powerful synthetic system capable of producing high purity peptides in high yields. 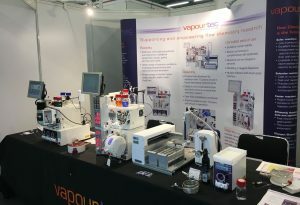 Vapourtec’s Distributor Manager, Dr Hannah Chilvers commented ‘ACHEMA was a fantastic event for Vapourtec and the Flow Chemistry Pavilion was a great success. Dr Ryan Skilton’s talk generated lots of interest in the potential of using continuous flow technologies as a powerful system for synthetic peptide production. It was a pleasure to meet so many of Vapourtec’s customers, both those from home and across the globe’. New Path Molecular is a spin-out company of Professor S V Ley’s research group at the University of Cambridge. They are an innovation partner of pharmaceutical and biotechnological companies in both human and animal health, crop science and fine chemicals. 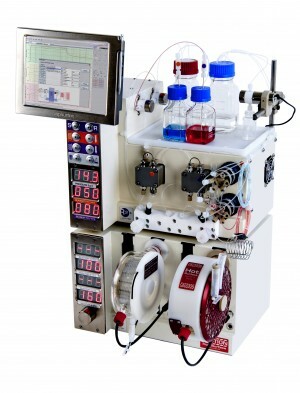 Vapourtec design and manufacture flow chemistry systems for a wide variety of sectors across the globe including education, pharmaceutical and industry. Their technologies are used by the world’s major pharmaceutical brands and blue-chip companies. Established in 2003, Vapourtec has developed a flourishing international market for its technology with sales across much of the developed world including USA, China, Japan, Singapore and India.